On Oct. 20, Kennedy Space Center promoted the center-wide effort to underscore how central energy is to our center’s mission, security, and environmental well-being. 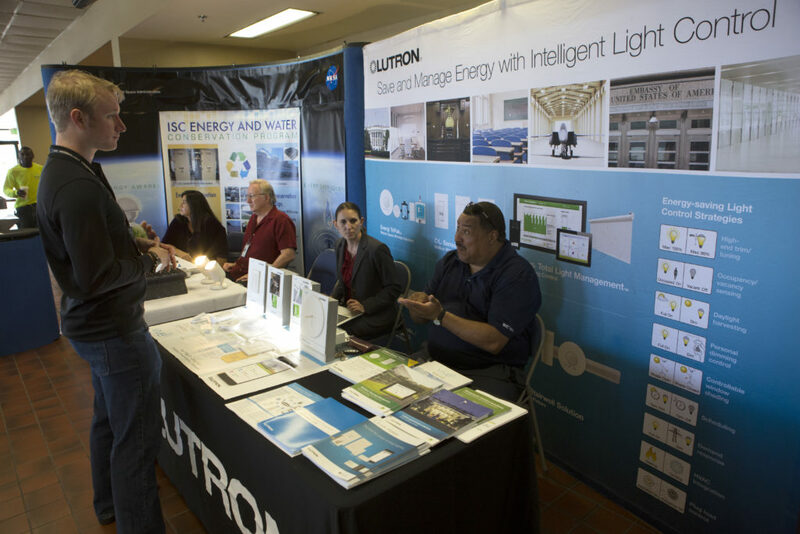 Employees, vendors, and representatives of local energy utility companies were on hand at Kennedy’s Multi-Function Facility to share energy consumption data, energy conservation tips, and ideas. 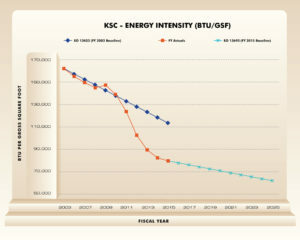 “There are things we can do at home and the office to meet our president’s goals, be environmentally friendly and meet the sustainability goals outlined in the KSC Sustainability Plan.” said Cory Taylor, an energy and water conservation specialist at Kennedy. In keeping with the Executive Order goals set by President Obama, Kennedy continues to reduce energy consumption while increasing production from renewable sources. For example, one of the goals is to reduce the amount of energy used per square foot in facilities on center by at least 25 percent in comparison to what was used in 2015 by 2025. According to Nick Murdock, an energy and water program manager at Kennedy, every little bit adds up toward reaching our sustainability goals.